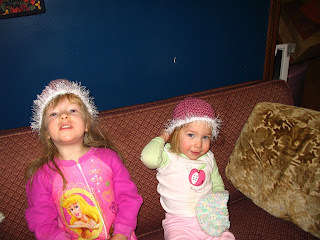 The girls are at Pirate Grandma and Grandpa's house this week. Our house is so quiet. I was able to get quite a bit done this morning before leaving for work. It's amazing what you can get done when you don't have 2 little ones to get ready as well as yourself! I'm trying to keep myself busy all week long. Hopefully the week will go fast. I am really going to need some serious "nuggle" time with the girls when they come home though. I miss them too! When are they coming to visit me?! ?